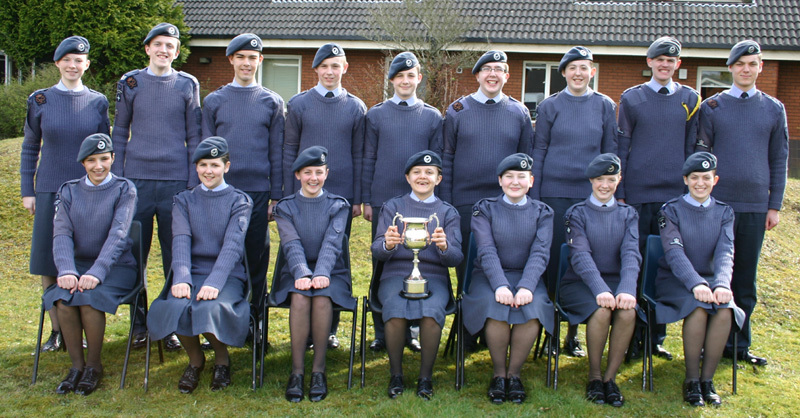 The future is bright - The Next Generation takes its rightful place ! 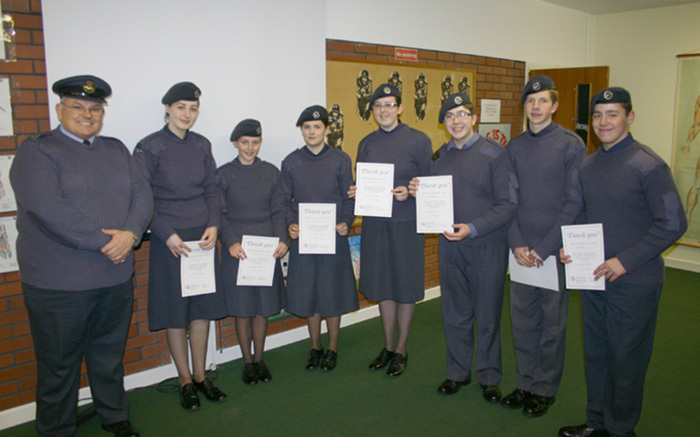 The following Cadets were promoted on merit after giving years of loyal service to the Squadron and are an immense credit to themselves and their family. 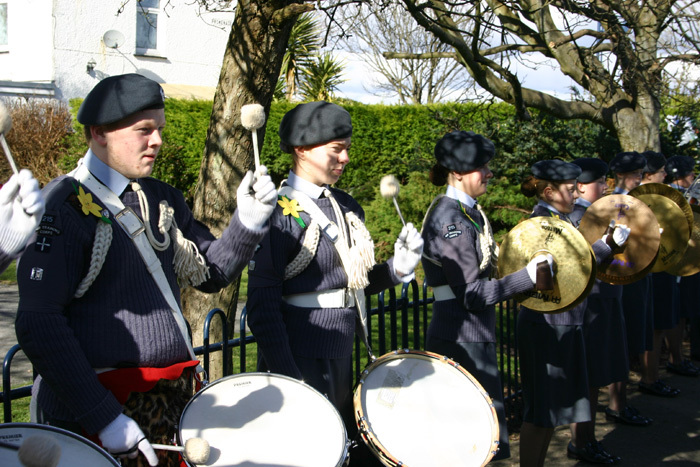 to the Squadron Band and displaying an exemplary degree of loyalty. 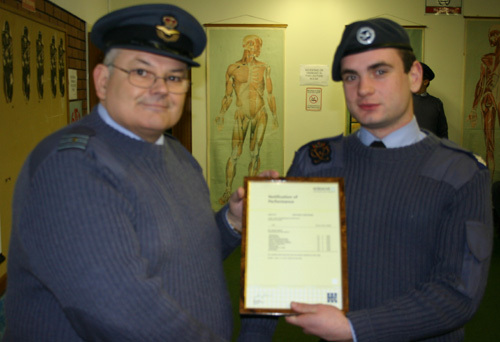 an NCO Course and achieveing high marks on the Staff Six Monthly Assessement Panel. 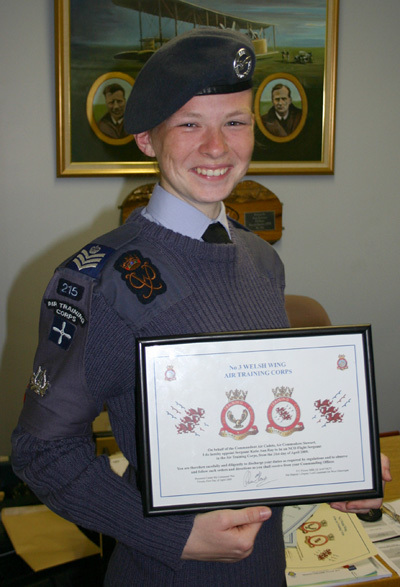 F/Sgt Sarah Flower (f) and Sgt Jonathan Harper have achieved their ultimate goal after passing all of their Cadet examinations and finally their Staff Cadet Aural Examination with 3WW WSO Squadron Leader Protheroe. 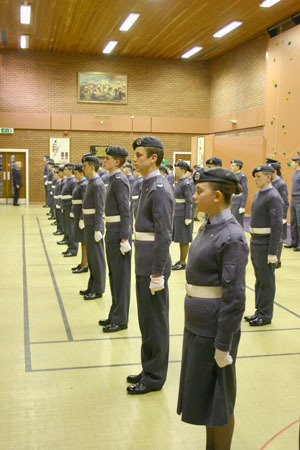 Both Cadets will now be automatically transferred to the Recruit Training Wing of the Squadron. 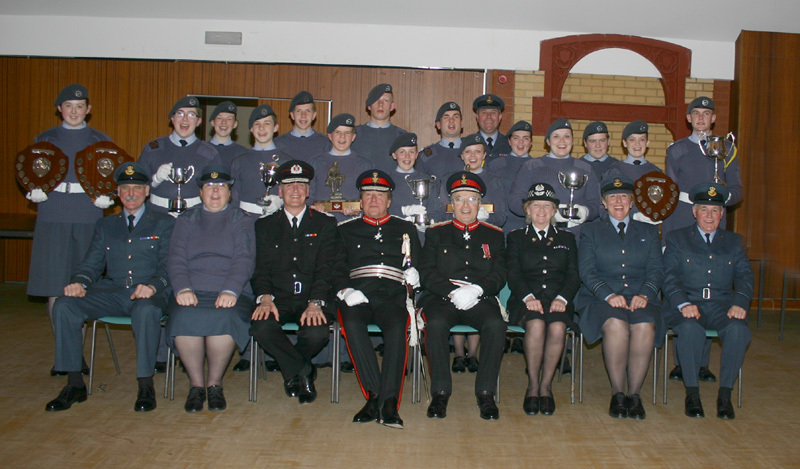 No 3 Welsh Wing' after a tremendous year of fund raising and charitable support. 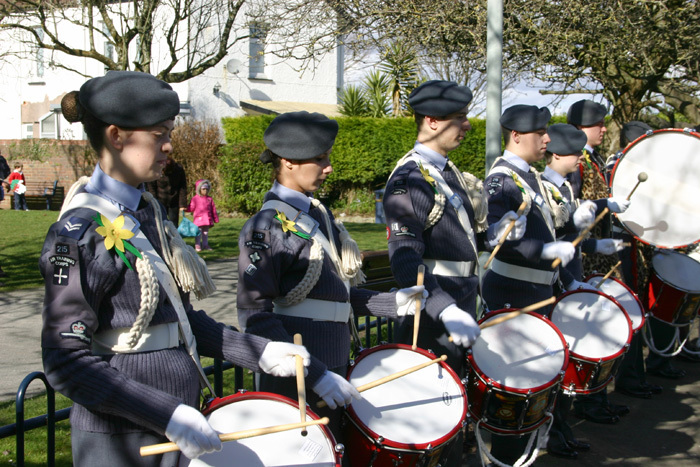 One of the finest accolades must be the fact that 215 Sqn is now the driving force behind the 'Poppy Appeal' in the 'City of Swansea' and for the second year the Cadets and Staff have raised the figure to the highest total in history, this year even surpassing last years total of £47,400 to a staggering £48,000. 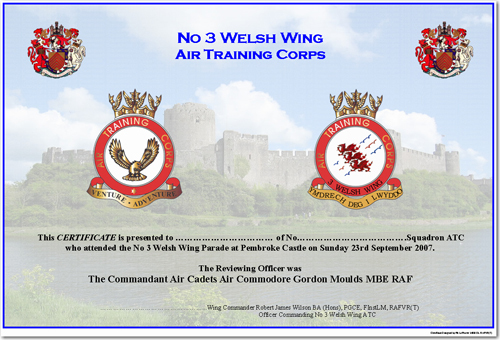 The No 3 Welsh Wing nomination will now be submitted to Group Captain Allen at RAF Cosford as well as the best nominations from No 1 Welsh Wing, No 2 Welsh Wing, Merseyside, West Mercian and Staffordshire Wings. 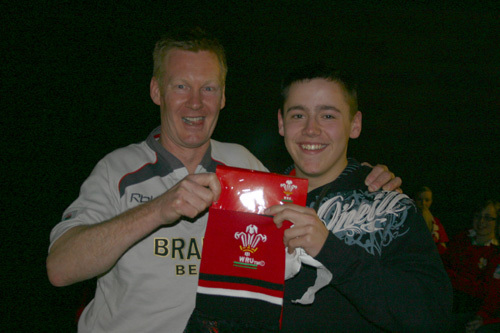 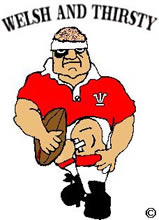 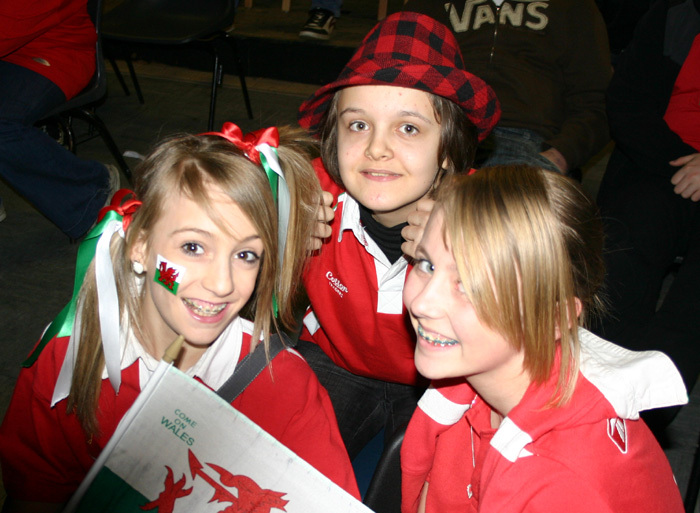 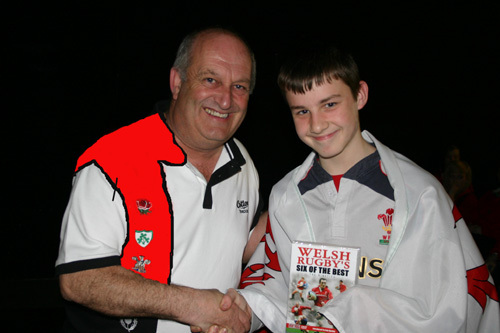 OPERATION 'DRAGON'S EYE' 2009 ~ Largest Overseas Camp in No 3 Welsh Wing History ! 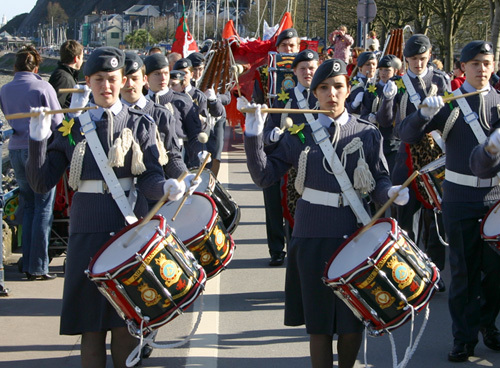 Cadets will be visiting France for a whole week to commemorate the 'D Day Landings' as well as tours of Caen, Bayeaux and enjoyment sessions on the beach, sports, swimming pools etc. 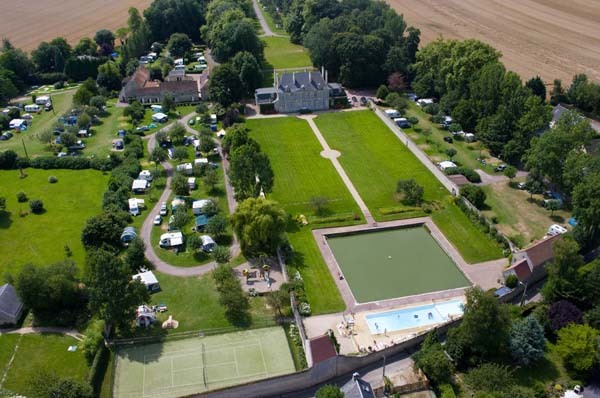 Our camp site for the week ! 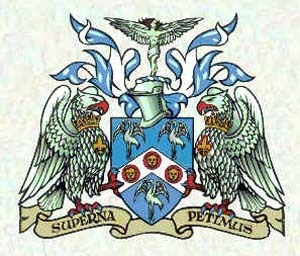 Parent Consent Forms and Letters for your Headmasters are available from the Squadron Office. 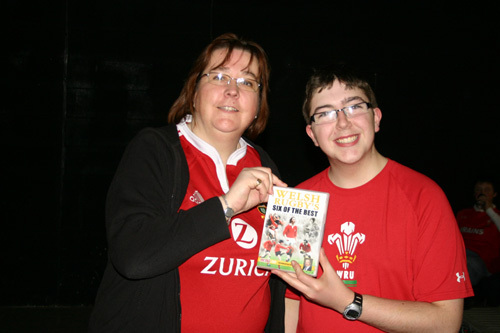 Please return letters asap to book your place ~ Olchfa Comprehensive School already supporting event. 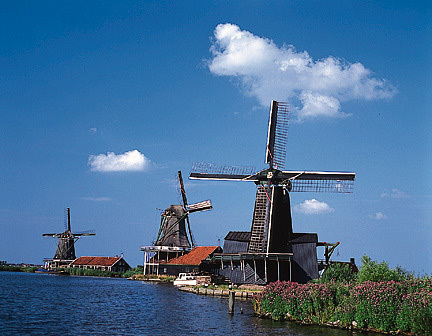 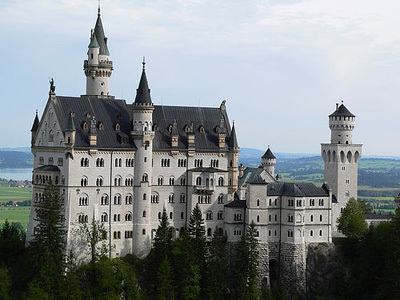 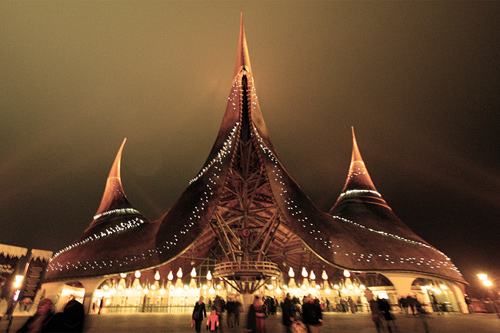 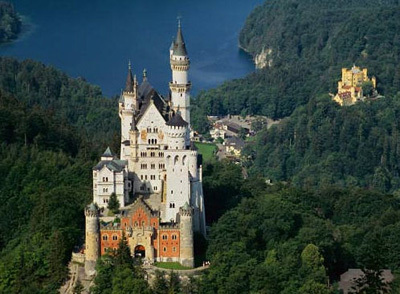 Cadets and Staff will be visiting Holland for a week in 2010 ~ The Overloon Museum, The Efteling Theme Park, The Kinderdyke, The Delta Works, Amsterdam as well as an activity packed array of sailing, skiing, rock climbing etc. 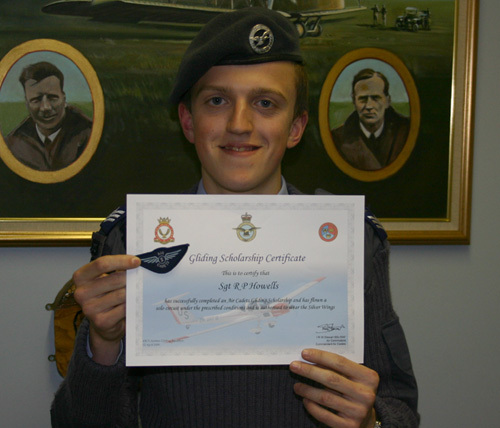 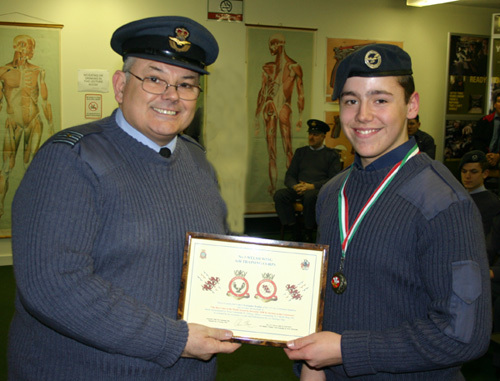 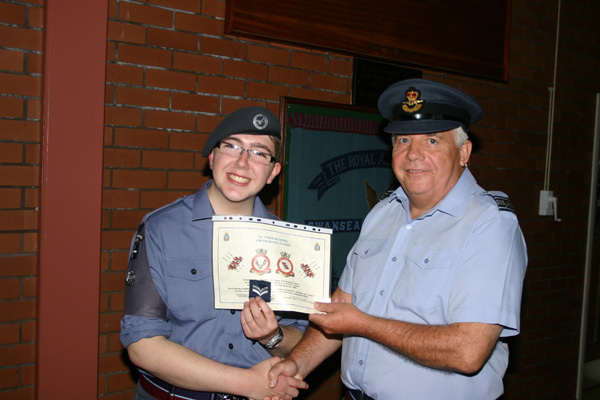 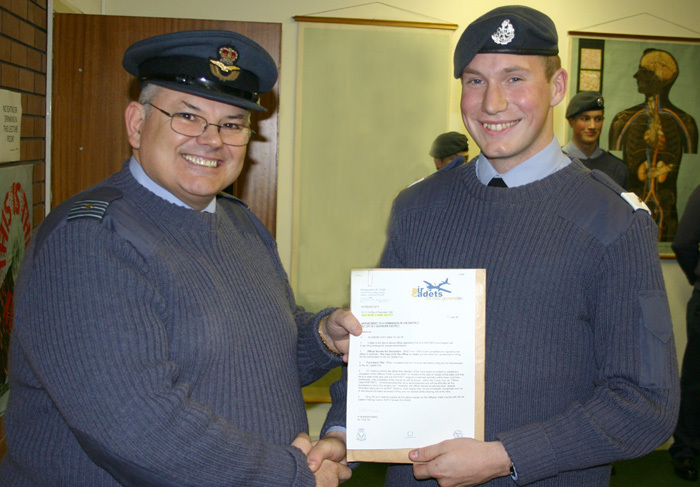 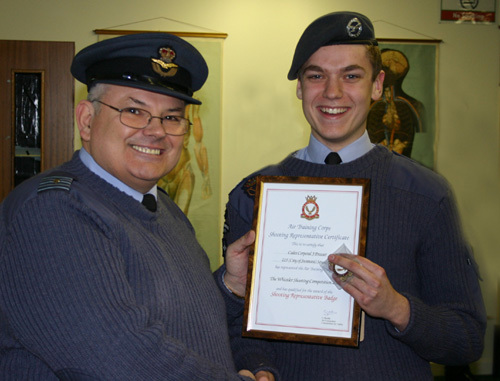 After completing a full week's course at 636 Gliding Squadron, Sgt Ross Howells was presented with his solo wings. 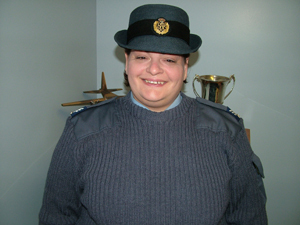 Warrant Officer Phil Morgan visited 215 and spent the evening training two of our Staff, A/Sgt Carol John (f) and A/Sgt Clare Prosser (f), who will both be attending their Initial Course at RAF Cranwell in May 2009. 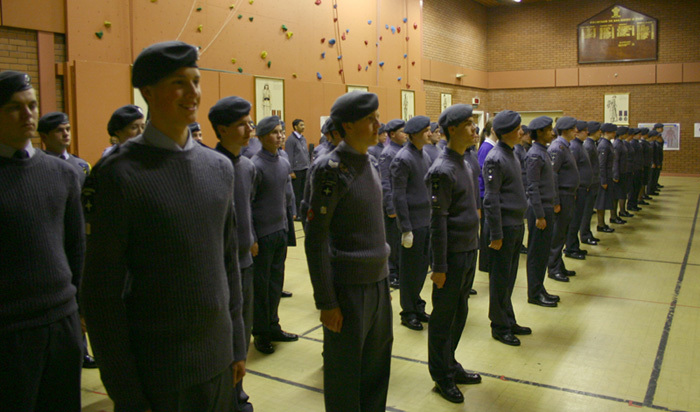 WO Morgan also had the opportunity to inspect the Squadron on final parade. 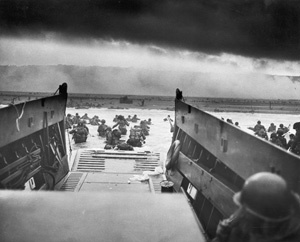 'D' Day Landings of June 2009. 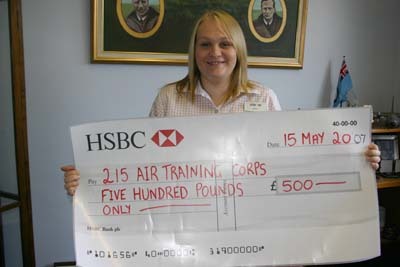 £250 for Normandy 2009. 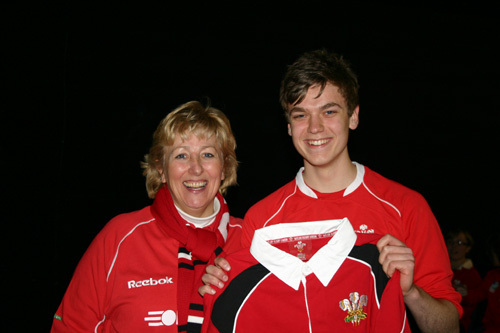 Well done Callum ! 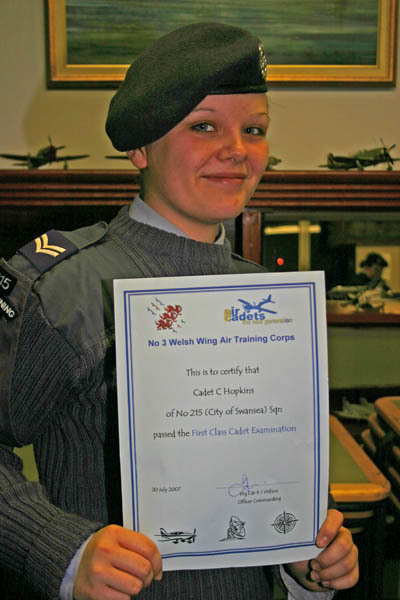 Any Cadets available to get sponsorship ~ Speak to your Commanding Officer. 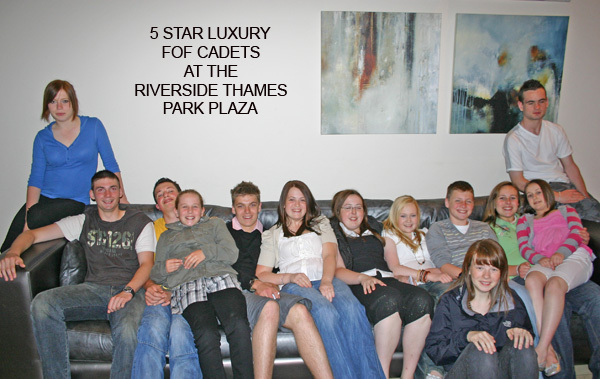 carpets, lighting, power cables and a high quality gazebo for each tent area. 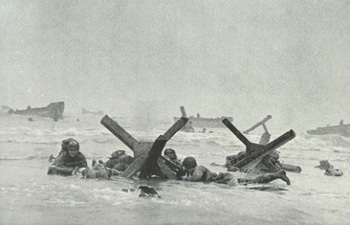 fly the flag in Normandy 2009. 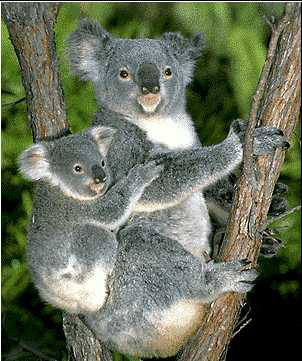 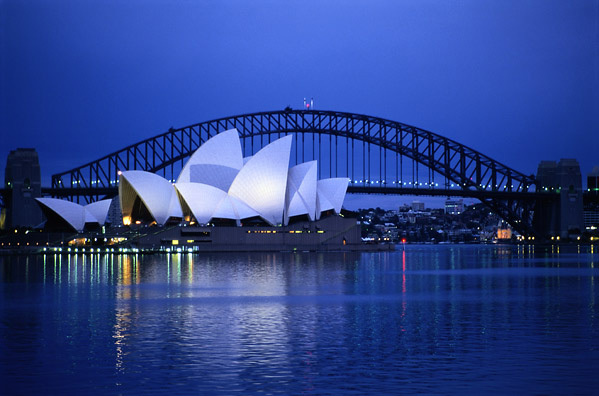 Want to go to France, Holland & Australia - then join the '215 Globe Trotters'. 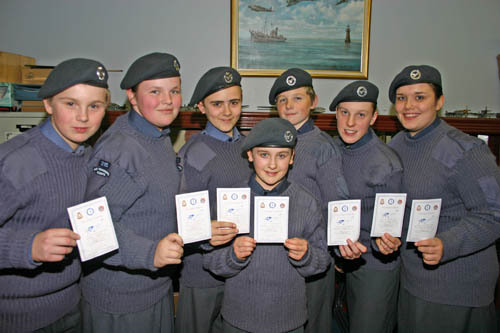 First Class Passes for super keen Cadets. 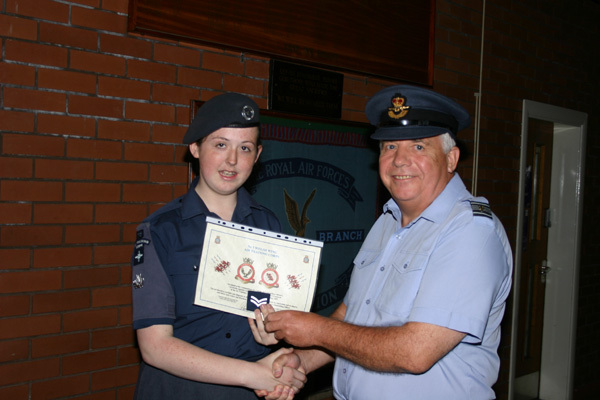 Leading Cadet Passes & Senior Cadet Passes. 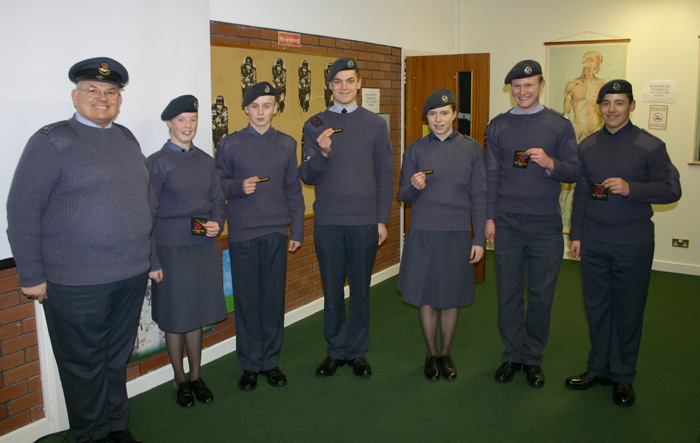 215 Squadron has an outstanding future ahead with the first promotions to Flight Sergeant for a number of years. 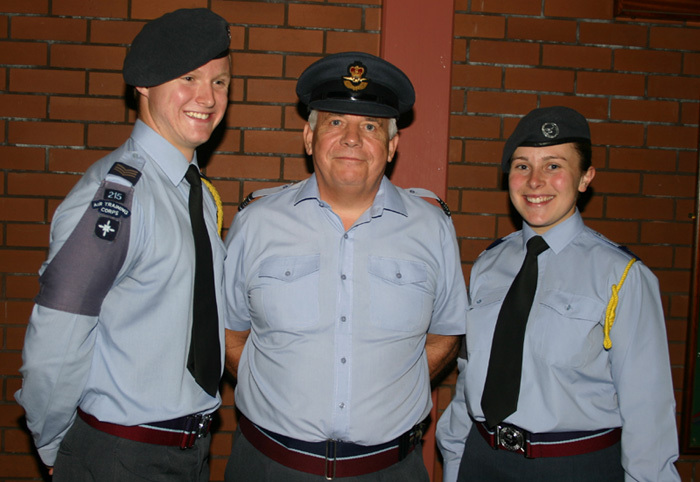 These two Cadets will lead the Squadron forward and encourage other Cadets to achieve their potential - who knows they may even lead us to another 'Lees Trophy' success. 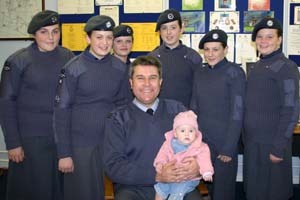 Which one wil be the next Commanding Officer of 215 ? 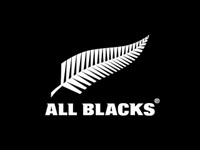 WITH THEIR HISTORICAL ACHIEVEMENT ! 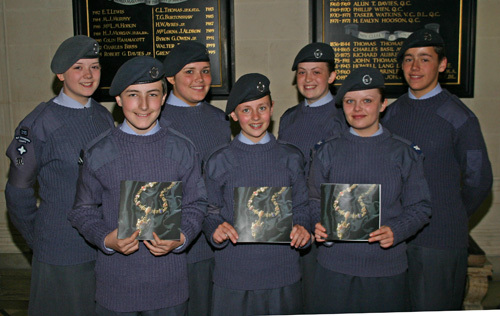 All the Gold DOE Cadets & Staff attended the Squadron the same day after completing a gruelling expedition. 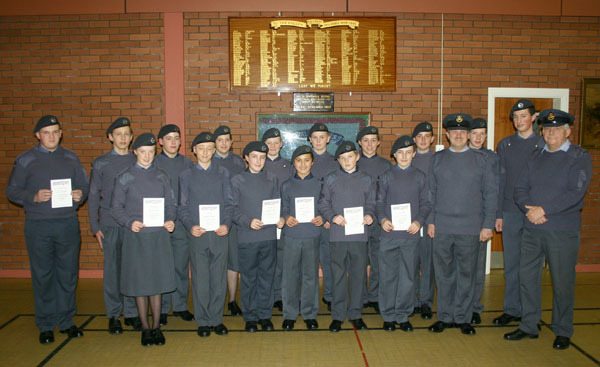 They were honoured with Squadron Certificates in front of the other 70 Cadets. 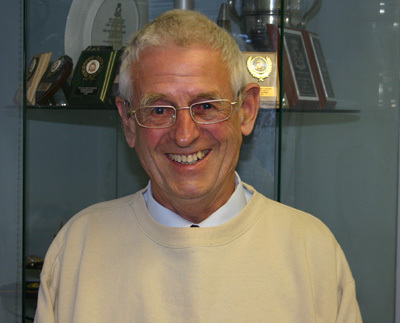 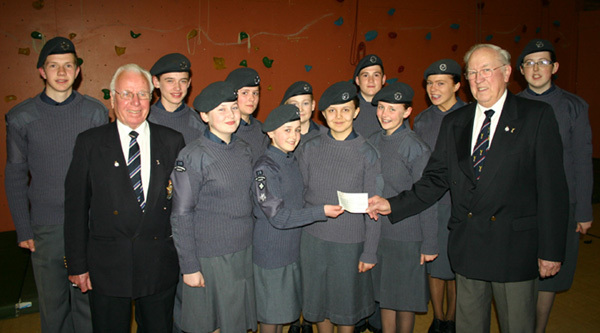 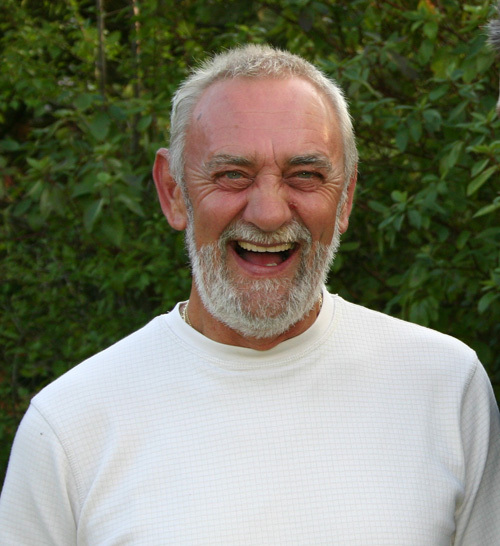 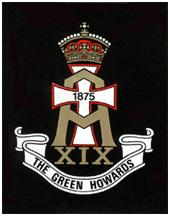 215 & 1358 have amalgamated to raise funds for their overseas visit to the Netherlands in 2009. 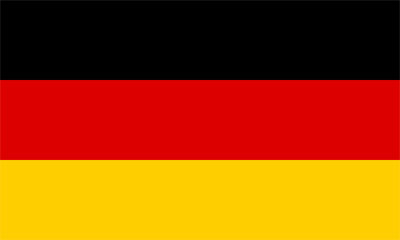 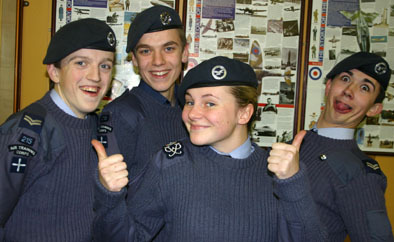 Sixty Cadets are going to travel to Holland for a weeks activities. 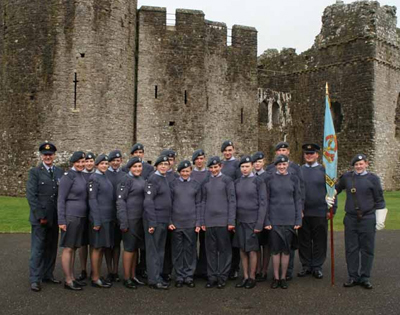 46 Cadets from 215 and 6 Cadets from 1358 are making history when they visit Normandy for a week in June, making it the largest overseas No 3 Welsh Wing Camp. 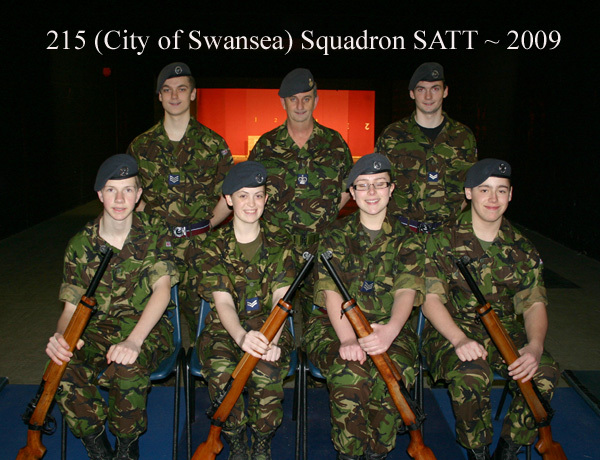 Swansea RAFA have sponsored the Cadets with a kind donation. 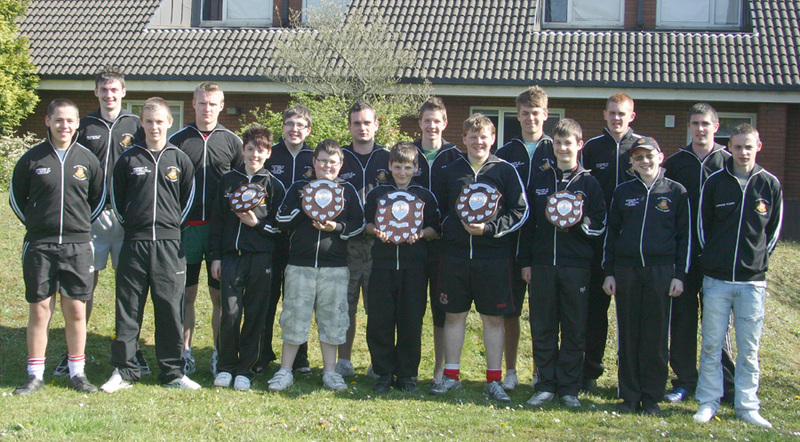 after beating 91 teams from the Sea, Army, Air and CCF Cadet Corps. 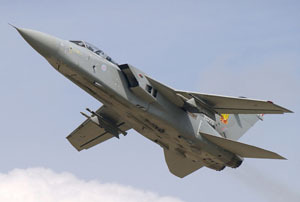 'TOP GUN' is an understatement ! 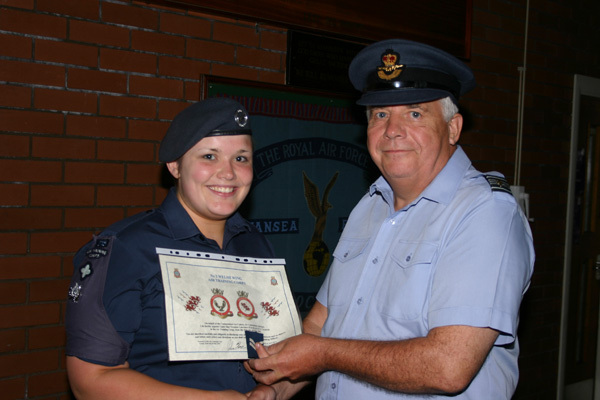 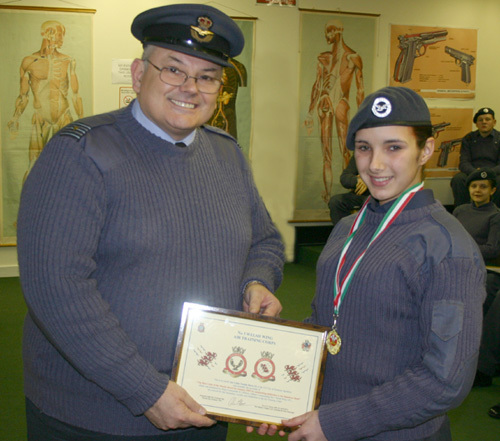 Cdt Amy John (f) was awarded the 'Runner Up Collector' for both categories. 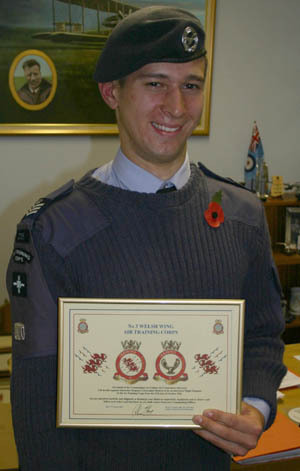 £3,000 when he took two weeks annual leave to collect for the 'Poppy Appeal'. 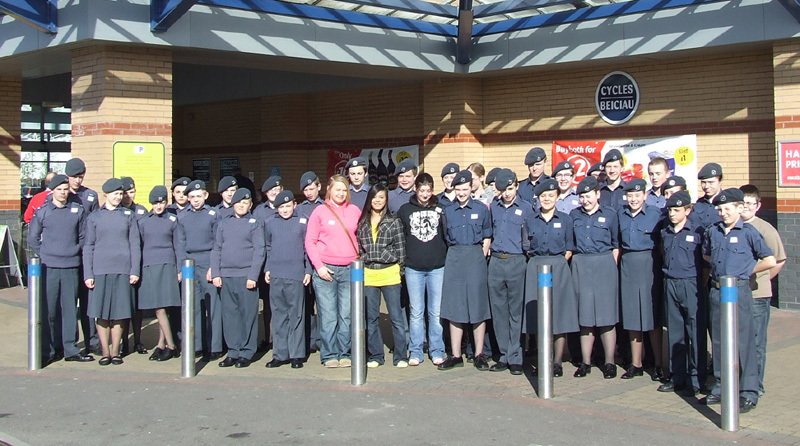 The ATC contingent from 215 (City of Swansea) Sqn, 360 (Llwchwr) Sqn and 1054 (Llanelli) Sqn. 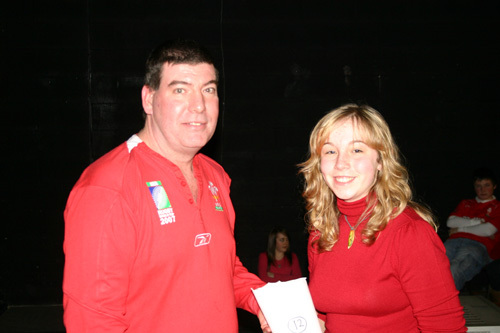 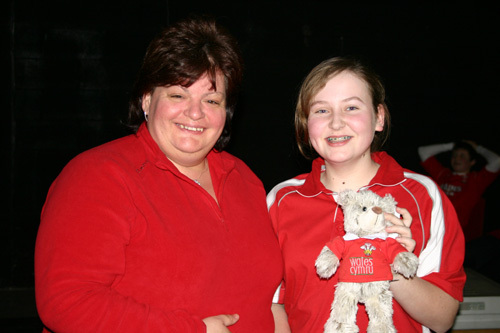 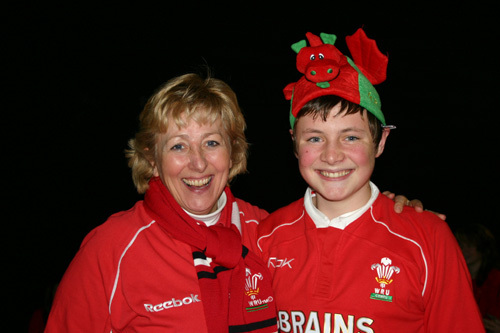 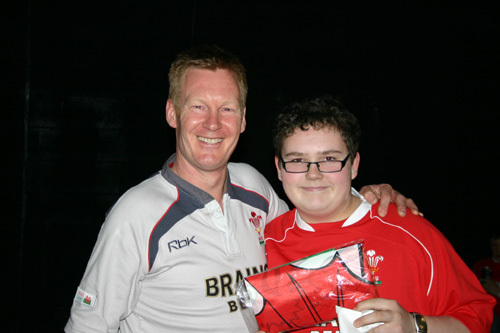 Helene Hardy from 'Le Mans' was looked after by 215 for two nights on her recent exchange to Wales. 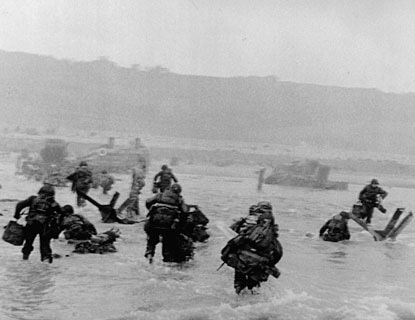 Can we start a 'DF' in Le Mans - anything is possible. 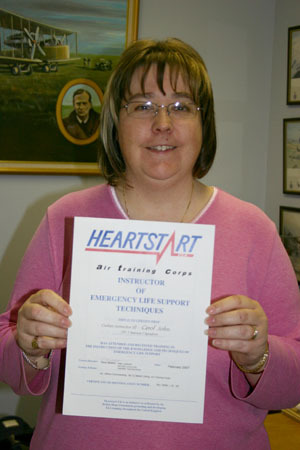 After committing over 25 years to the Hospital Radio Network as well as helping numerous other charities, the 'Deadly Duo' were rewarded for their exemplary efforts in the community. 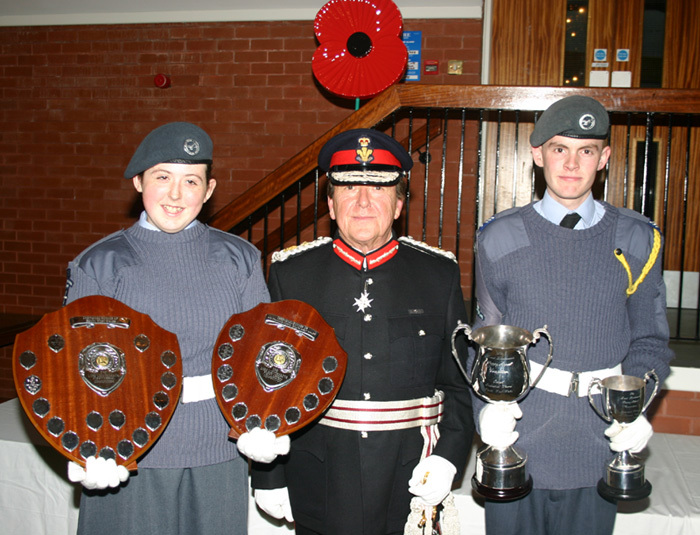 Merseyside Wing, West Mercian Wing & Staffordshire Wing. 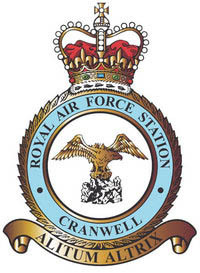 The actual team who competed at Shawbury consisted of Cpl Myatt, Cpl Brannigan (f), Cdt Bradley & Cdt Gough as Sgt Prosser is attending RAF Cyprus and Sgt Flower is hosting a French exchange. 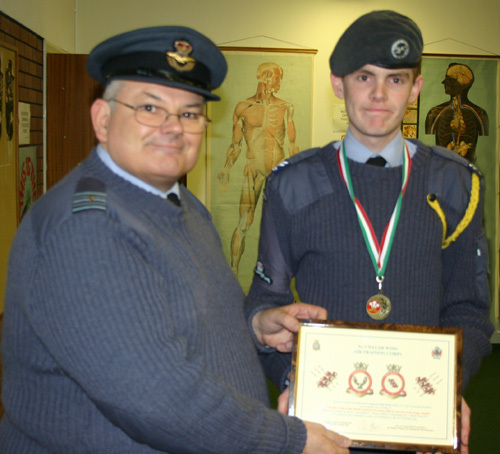 Cpl Michael Myatt achieved the 'Best Marksman Award' for the Wales & the West of England Region and Cdt Daniel Gough was placed third. 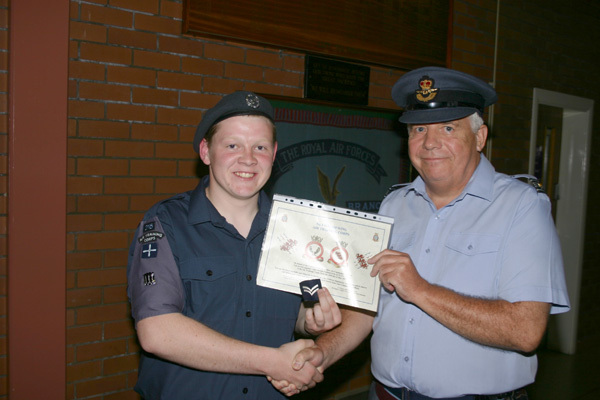 Sgt Jordan Prosser is enjoying a two week overseas Camp in Cyprus after a being selected as one of No 3 Welsh Wing's Best Cadets to attend. 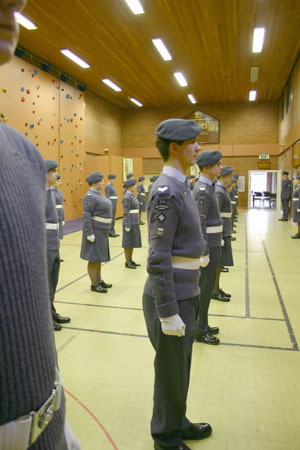 The Squadron has now attracted over 30 new recruits and boasts an immense average parade strength of 80 Cadets. 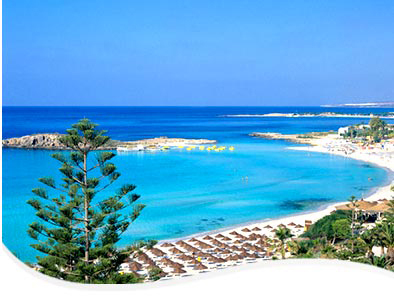 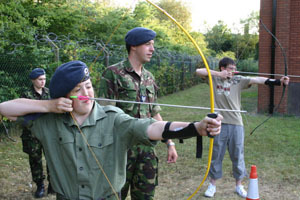 Archery, climbing, shooting and many other activities will ensure they all stay part of this vibrant Unit. 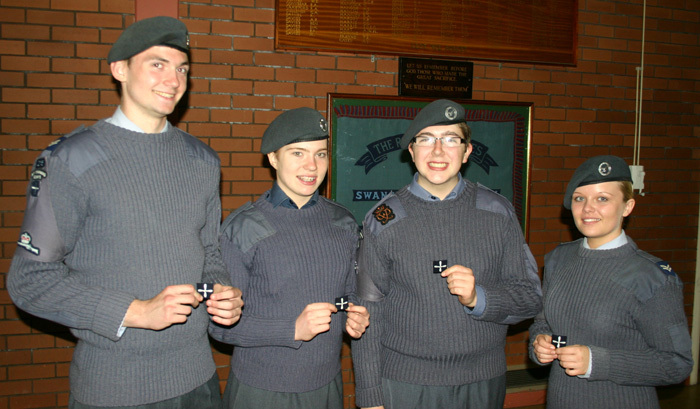 Cdt Luke Mogford, Cdt Amy John (f), I/Cpl Alan Jones & Sgt Jordan Prosser. 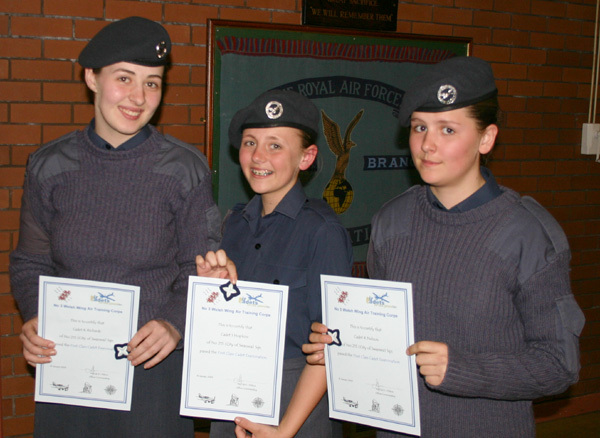 Cdt Fern Thomas (f), Cdt Sharie Messer (f) & Cpl Kim Brannigan (f). 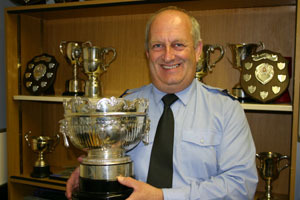 'Best Drill Team Trophy' in No 3 Welsh Wing. 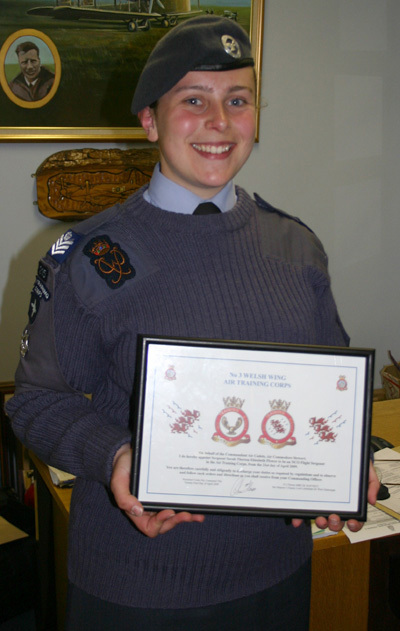 Sergeant Katie Ray (f) was exemplary as the NCO in charge of the Squad and can be justifiably proud of her breathtaking personal qualities, which lifted the Team to reach its full potential. 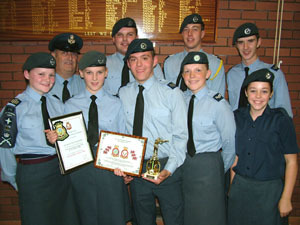 for their training and support of the Team. 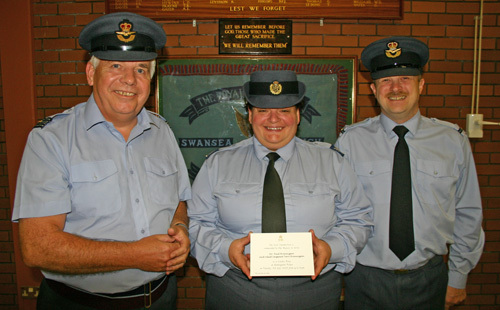 Both Pilot Officer Paul Brannigan and Adult Sergeant Terri Brannigan (f) will be jointly awarded 'The High Sheriffs Meritorious Service Award' after a distinguished career with the Air Training Corps and services to the 'Hospital Radio' at Singleton Hospital, Swansea. 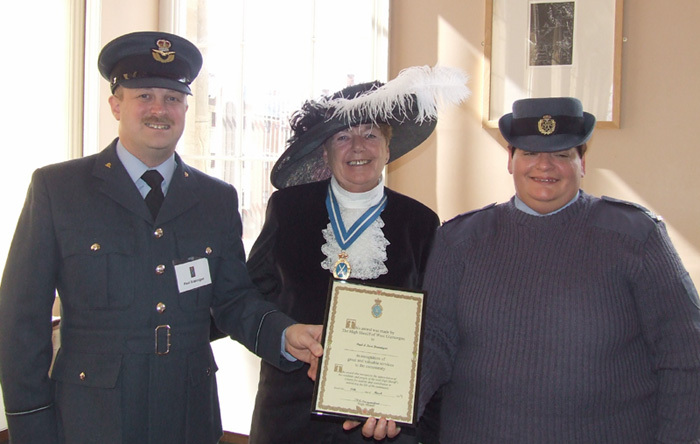 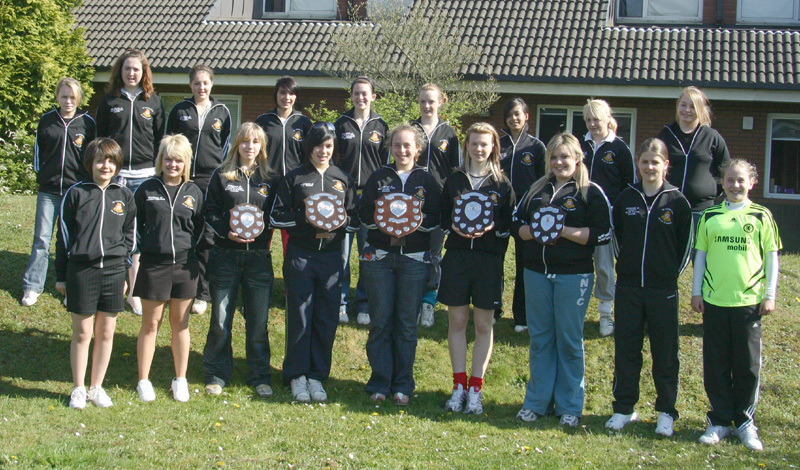 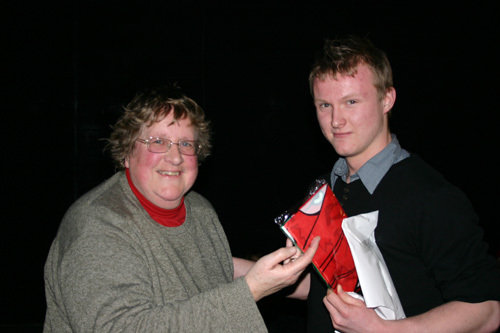 They will receive their award from the High Sheriff, Mrs Pam Spender on Saturday 28th March 2009. 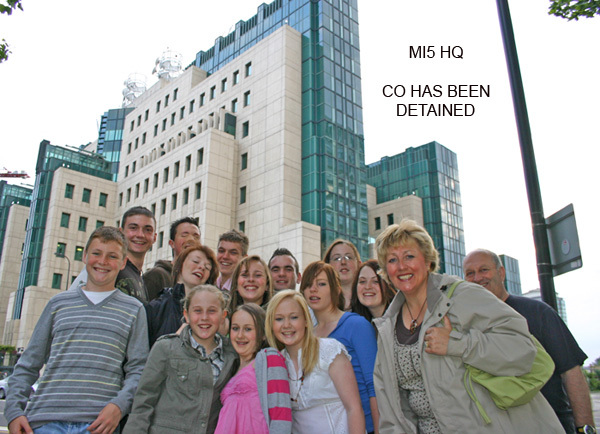 VIP Tour of Buckingham Palace. 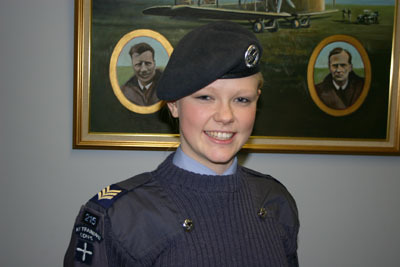 Squadron has been allocated 20 Cadet places ~ this is a once in a lifetime trip. 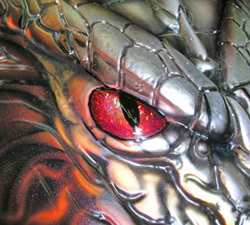 Interested ~ Contact OC 215 ASAP. 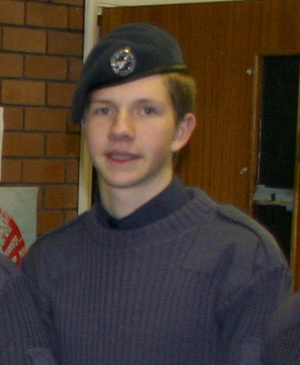 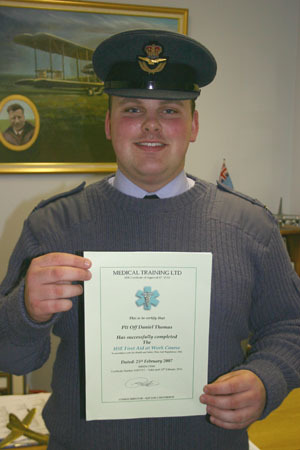 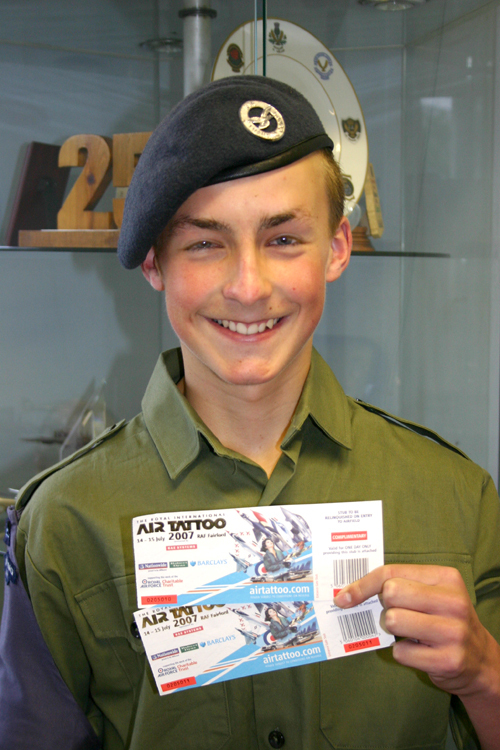 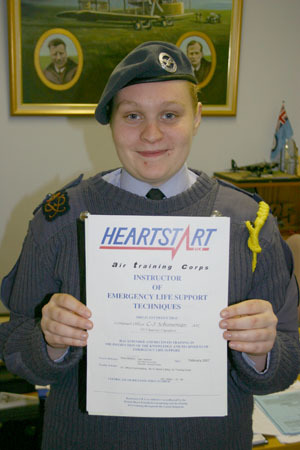 Cadets have to be 16 years of age and pay registation and qualification fees of £69.00 to complete the course. 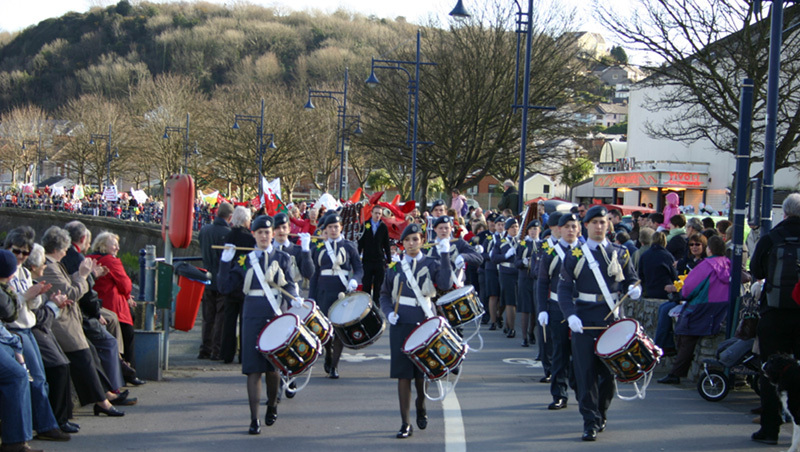 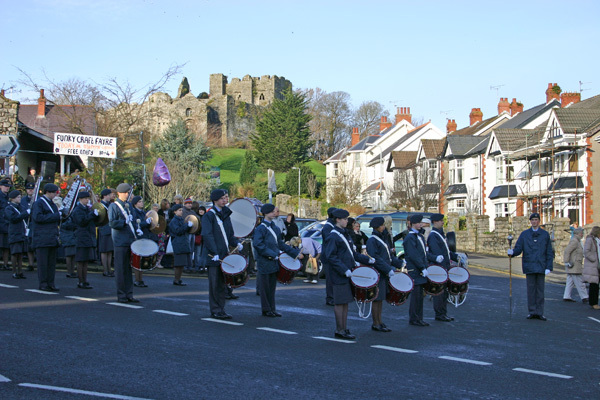 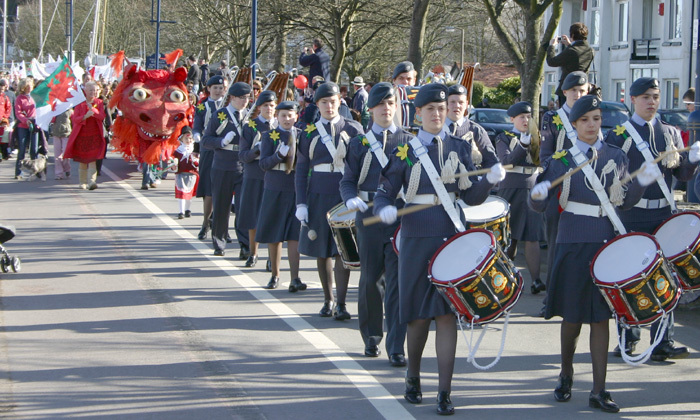 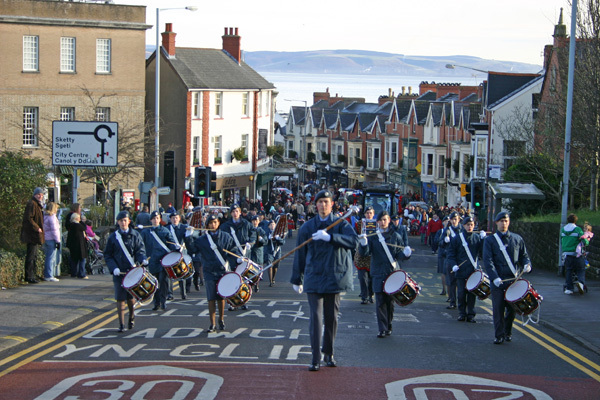 The Squadron Band led the Mumbles Community Council 'St David's Day Parade', which had over six hundred marching children in Welsh costumes and dragons. 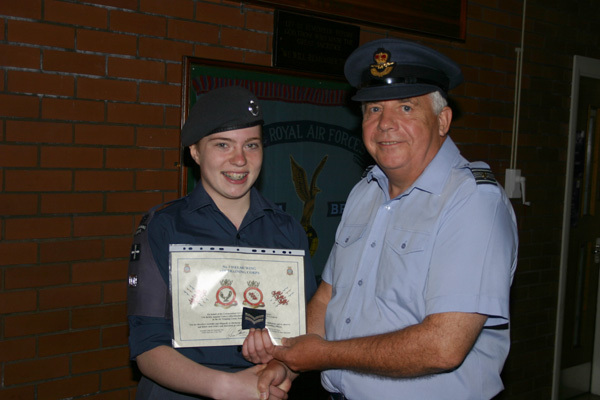 Cdt Chantelle Hawkins (f) wins first prize ! 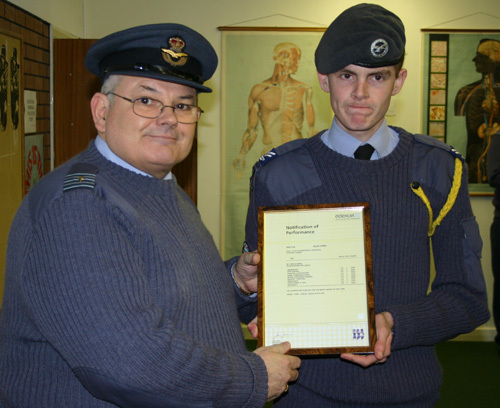 Sgt Jordan Prosser and Cpl Michael Myatt after representing the ATC in the National Whistler Shooting Competition in 2008.
for outstanding commitment to the Community, the Squadron Band & Shooting. 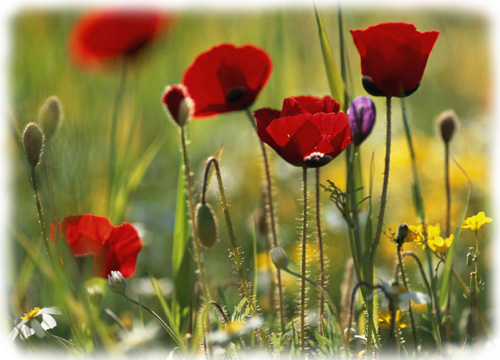 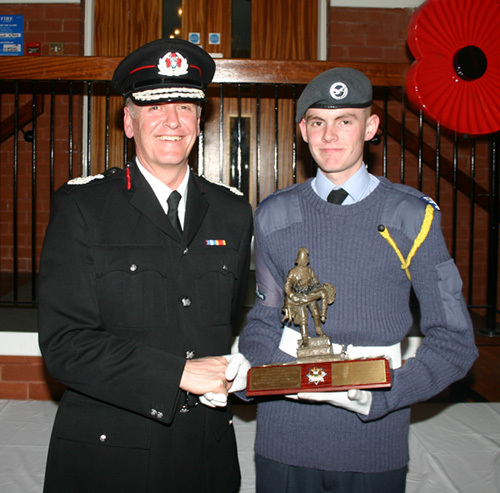 for outstanding commitment to the Community, the Royal British Legion & 'The Poppy Appeal'. 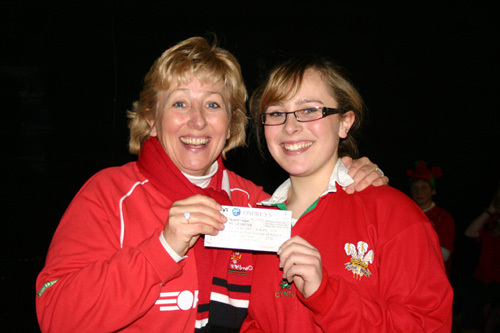 A Corps Blue was presented to Flt Lt Lorraine Flower as the ATC Netball Team Manager and Coach after guiding the Corps Team to its first ever National Success in January 2009. 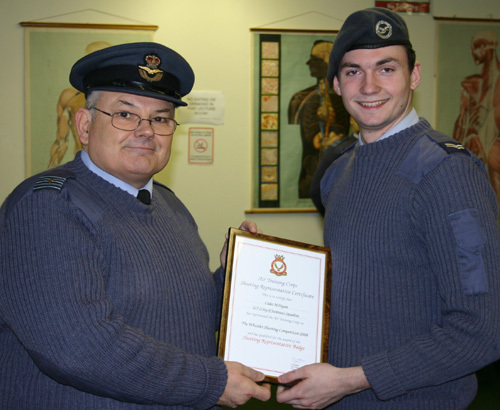 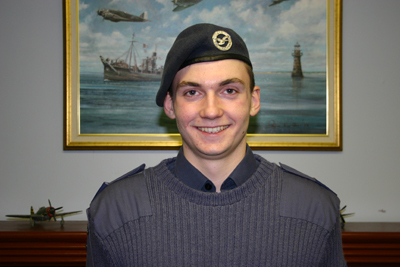 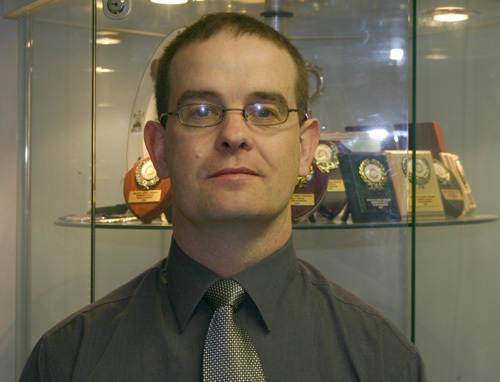 A/Sgt Barry Garnham was recently promoted by OC 3WW, Wing Commander Bob Wilson when he inspected 215 Squadron. 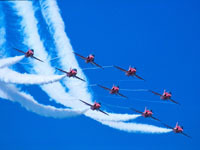 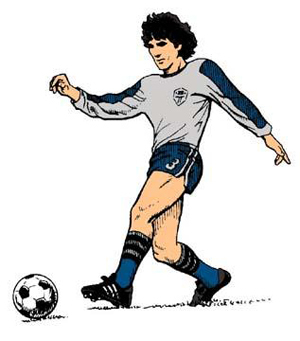 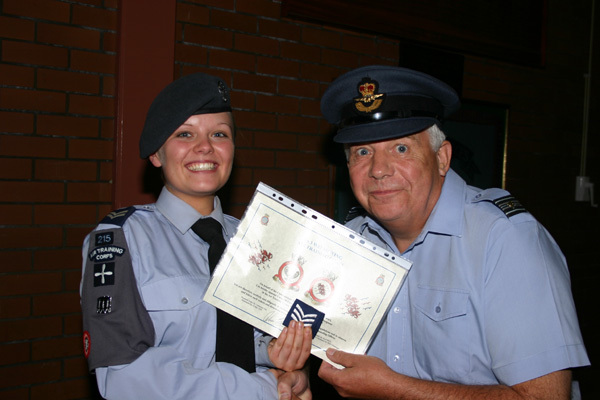 are all presented with Wing Blues and Flashes for various sporting achievements. 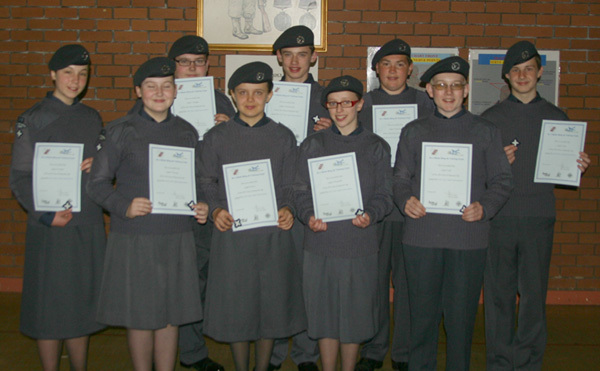 are all presented with certificates for outstanding commitment to SSAFA. 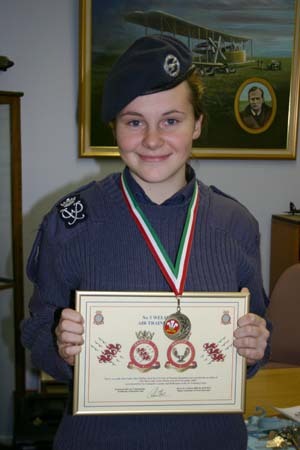 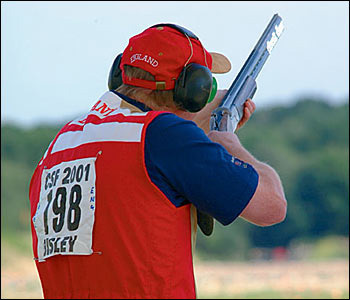 10 Cadets are invited to apply to attend the Clay Pigeon Shooting Day at Cardiff - the day will include two sessions of clay shooting and a hot lunch. 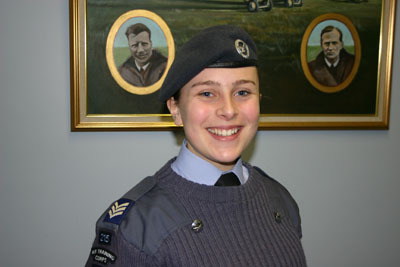 Interested ~ Give your names to your Flight Commanders ASAP for Sqn Notice Board. 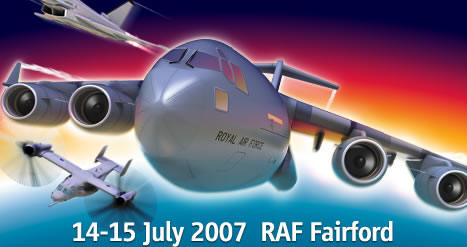 Aero Systems Operator, Avionics, Sports, NCO Aircrew, Air Traffic control, RAF Regt, RAF Police, Logistics & Engineering. 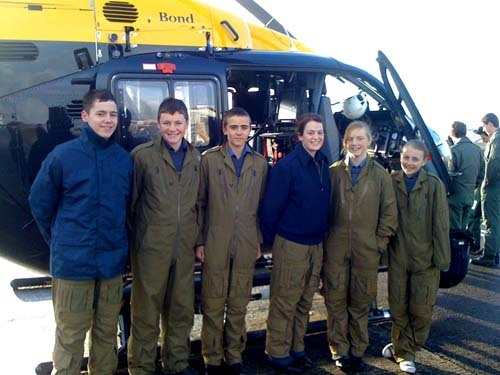 Six Cadets had a great day gliding at the 636 Gliding Squadron with an added bonus - they were all invited to have a guided tour of the South Wales Police Helicopter and speak to the crew. 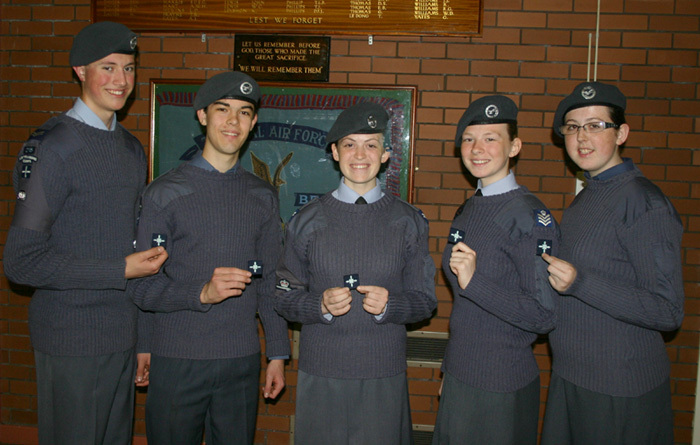 Left to right : Cdt Bradley, Cdt McPhee, Cdt Bevan, Cpl Brannigan (f), Cdt Messer (f) & Cdt Hopkins (f) are pictured. 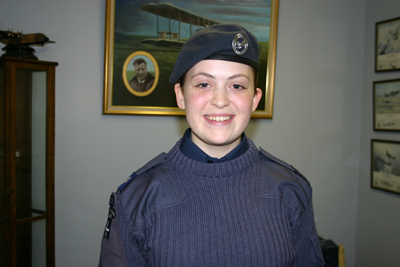 Sgt Sarah Flower, Sgt Katie Ray & Sgt Jessica Parker are the sole representatives from No 3WW for the Inter Region Senior Netball Championships, which will be taking place at RAF Cosford this weekend. 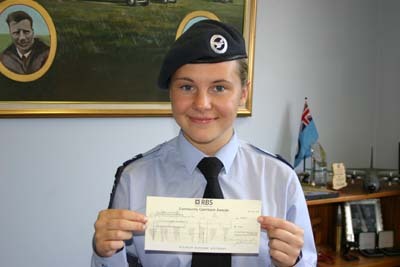 Cpl Carrie Hopkins (f) finally received her First Class Certificate as well as a Leading Cadet pass for Cdt Howell Meredith. 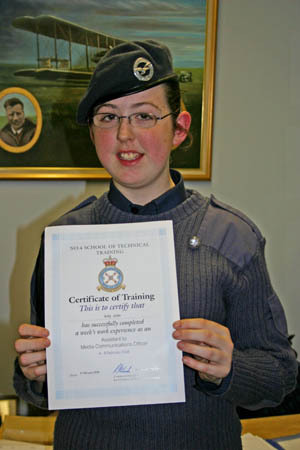 A successful week attachment to the Media Communications Officer from No 4 School of Technical Training was completed with the award of Cadet Amy John's Certificate of Training. 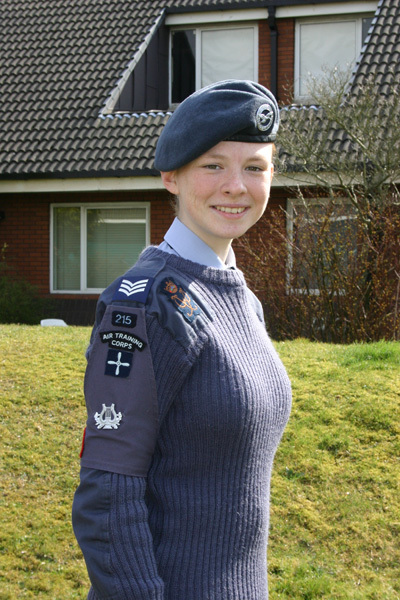 Whilst at MOD St Athan she carried numerous PR interviews and also spent a day with the Station Commander. 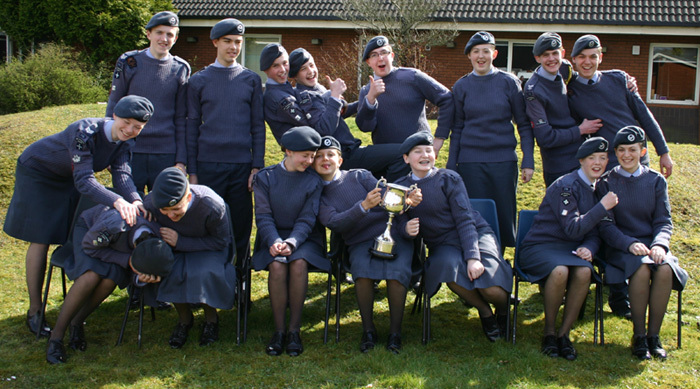 The team achieved 'THIRD PLACE' out of Nineteen Squadrons in their very first competition - A Brilliant Result ! 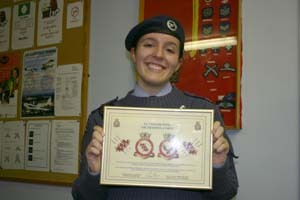 which recognizes over a years commitment to the Squadron Band. 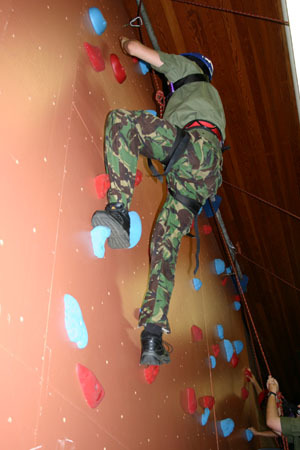 ICWO John (f), Sgt Flower (f), Cpl Clarke & Sgt Parker (f) will be competing on behalf of 215. 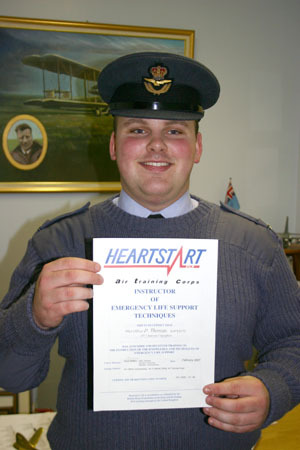 24 Cadets achieved their Heart Start Certificates and were awarded them by 215's new Wing Staff Officer - Squadron Leader Len Protheroe. 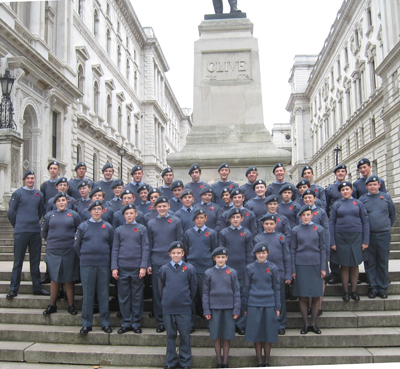 43 Cadets flew the flag for No 3 Welsh Wing on a VIP visit to London. 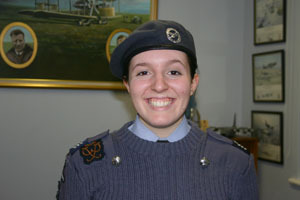 inviting the 13 Cadets and CI Carol John (f) from 215. 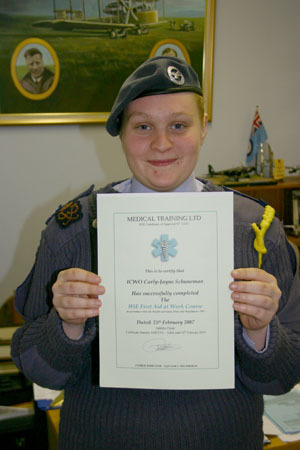 01 Dec 08 ~ still waiting for the Cadet Certificates ! 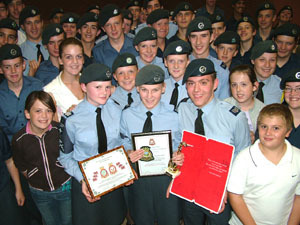 Cadets of 215 attended the prestigious No 3 Welsh Wing Parade at Pembroke on Sunday 23rd September 2007. 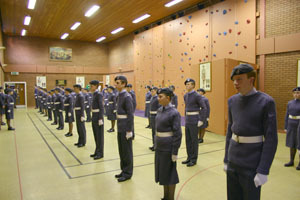 The Commandant Air Cadets, Air Commodore Moulds was the Reviewing Officer. 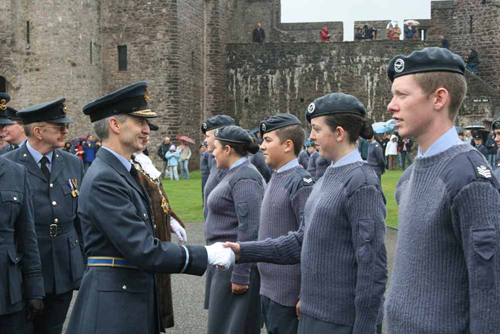 All the Cadets and Staff who attended the No 3 Welsh Wing Review Parade will be issued with a ceremonial certificate, which was designed by Flt Lt Phill Flower. 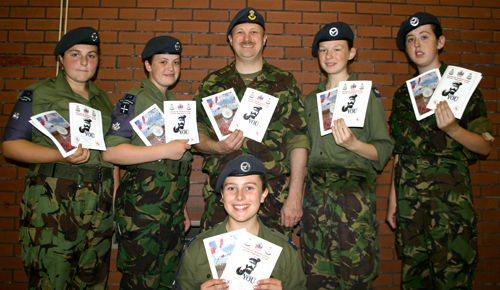 The Cadets together with Pilot Officer Paul Brannigan designed and printed 350 Veterans Concert Programmes for the Commemorative Concert held on Wednesday 27th June 2007. 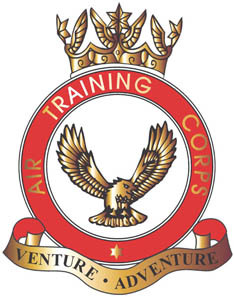 The Programmes were an outstanding success and were sold out at the end of the evening, generating over £500 for the Normandy veterans to allocate to different charities. 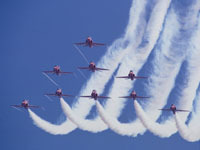 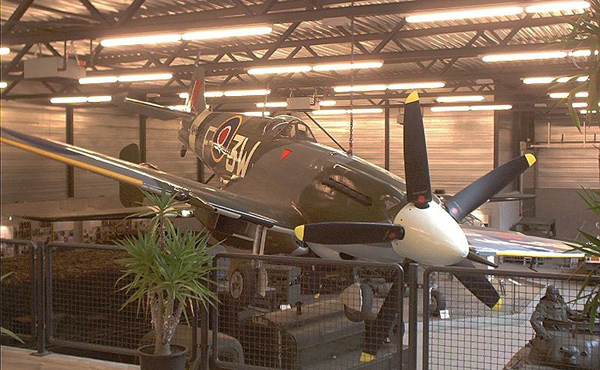 It looks likely that the Squadron will host this event next year with a team of veterans. 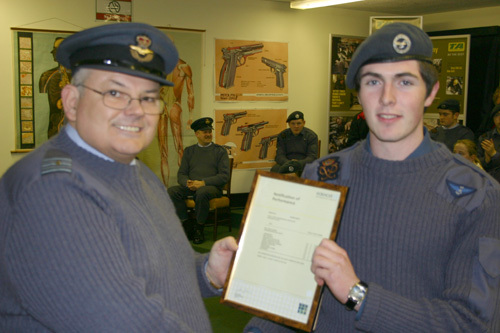 "REACHING FOR THE SKY - SQUADRON'S FINEST "
Flight Lieutenant David Bennett has 'Reached for the Sky' after passing his Navigator Training on the Tornado GR3. 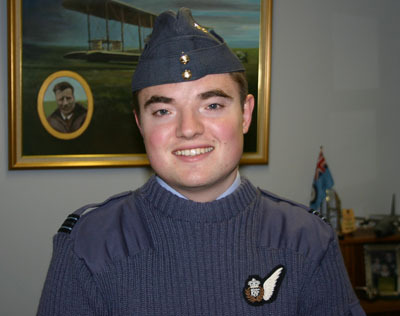 An ex-Cadet Flight Sergeant of 215, he has certainly risen to new heights and is an exemplary ambassador for the Royal Air Force and the Air Training Corps. 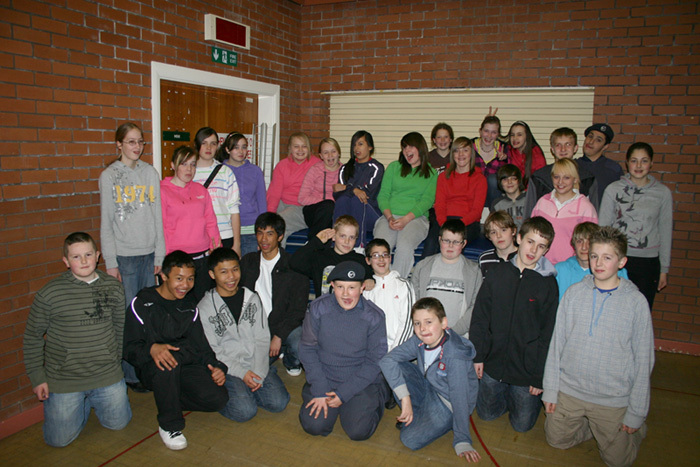 Can you live up to the 215 Challenge ? 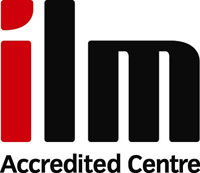 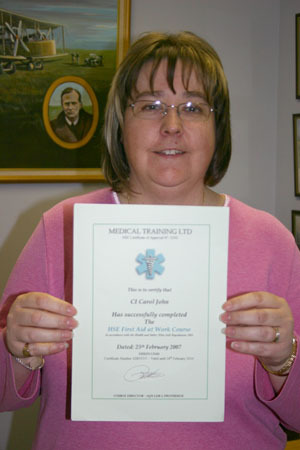 Be trained by the professionals ! 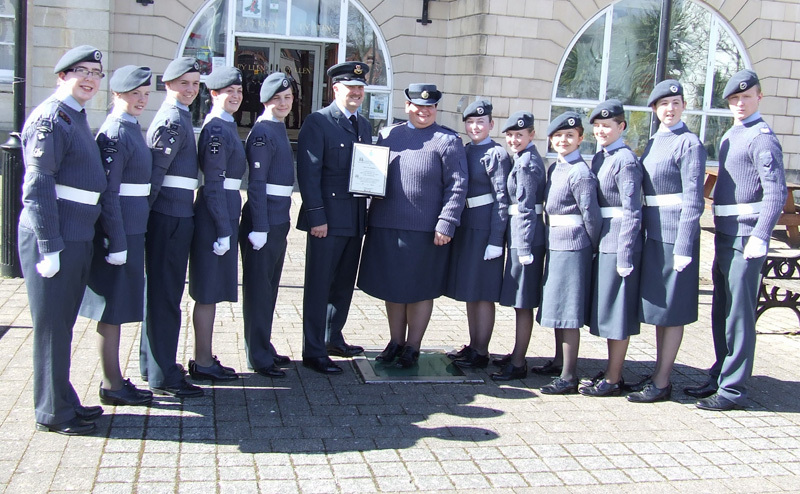 Major Howard Worthing (SSAFA) has highly commended the Cadets of 215 after their fund raising efforts for the SSAFA raised a brilliant total of £583.08. 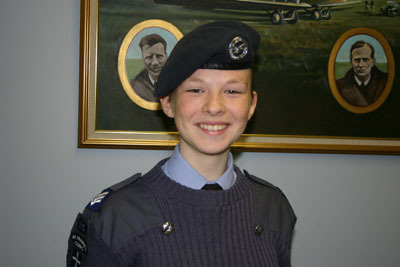 Corpral Alice McPhee (f), the Squadron Cadet Fund Raising Officer has now raised over £750.00 through active sponsorship. 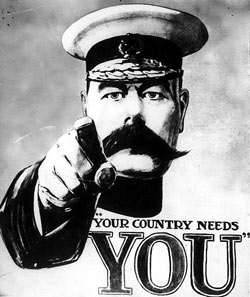 New Ideas - Speak to Alice Urgently ! 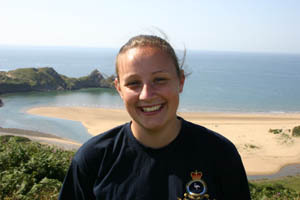 ICWO Carley-Jane Schuneman (f) and Cpl Alice McPhee (f) have both succeeded in attracting sponsorship for the Squadron from the HSBC and Nat West Banks. 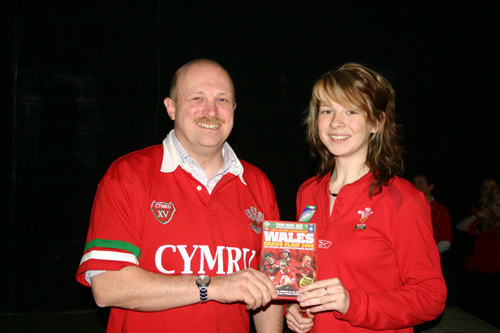 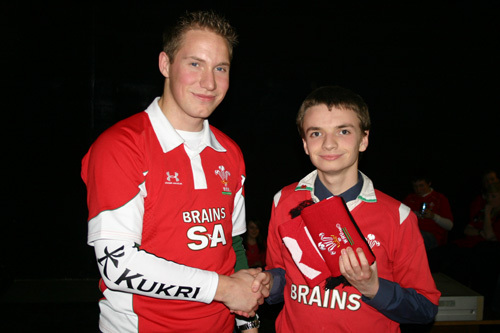 The sponsorship, which exceeds £1500 wil be used for new projects. 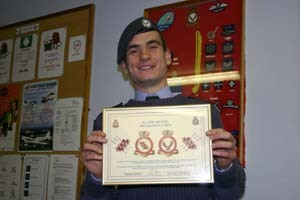 Corporal James Evans will be awarded a special gift from the Squadron for being the 50,000 Web Site visitor. 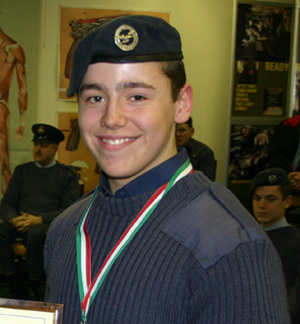 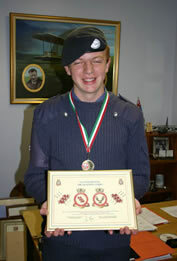 He is the first Cadet to claim a Web Site Award. 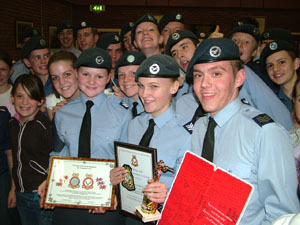 ANNUAL INSPECTION - A GREAT NIGHT !!! 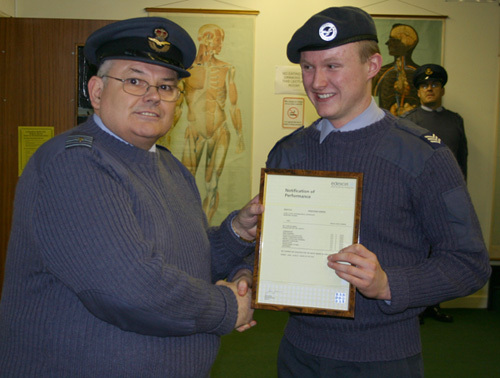 Squadron Leader Stuart Anderson, 3WW WSO inspected the Squadron, which boasted 55 Cadets on parade, 12 Staff and 6 Civilian Committee Members. 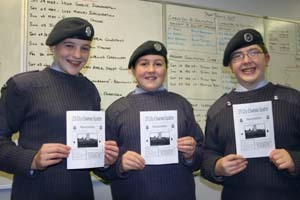 'Team 215' & 'Dare 215 Excel' spirit for an excellent evening. 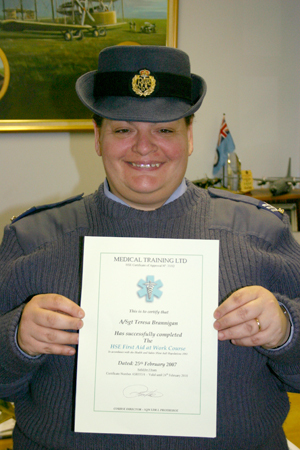 A/Sgt Terri Brannigan (f) have all passed their First Aid at Work qualification. 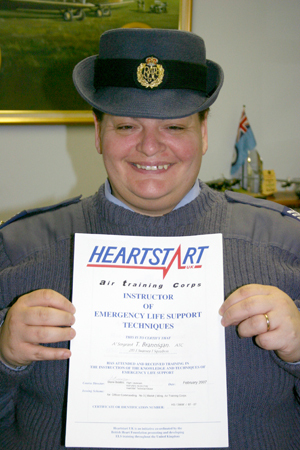 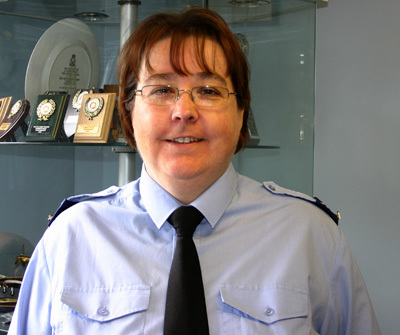 A/Sgt Terri Brannigan (f) have all passed their Heart Start Instructors qualification. 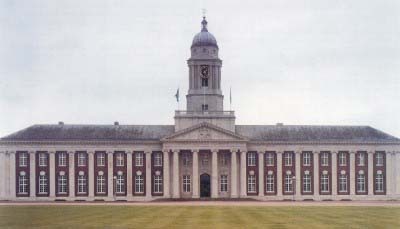 at Royal Air Force Cranwell, achieveing high grades throughout their week long course. 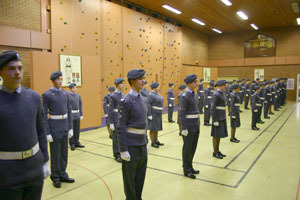 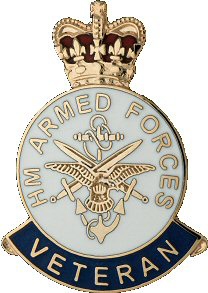 The difficult course entailed many sessions of drill instruction, leadership exercises, lecture techniques etc and is very demanding. 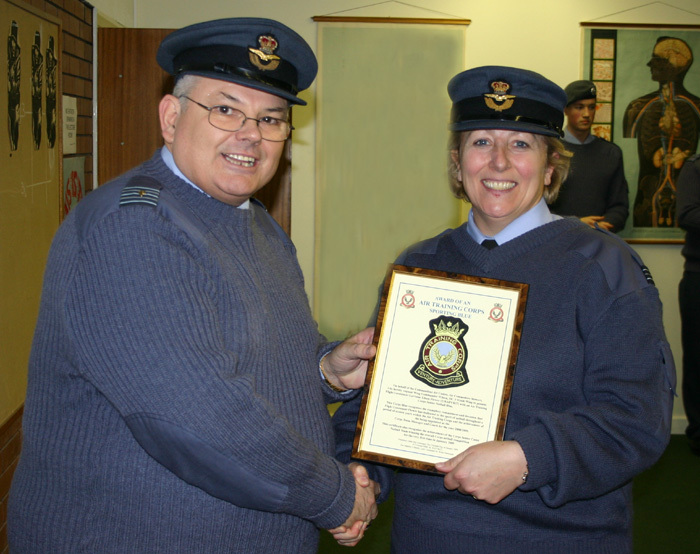 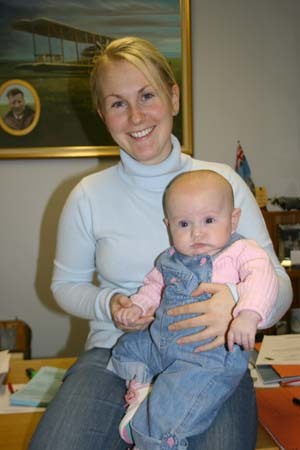 Adult Sergeant Terri Brannigan (f) celebrated her 40th Birthday in style at a special party organised by her husband, Pilot officer Paul Brannigan on Saturday 17th March 2007. 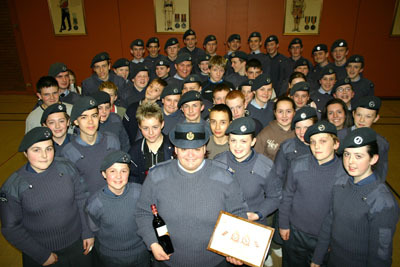 She was also presented with a small gift from the Staff and Cadets. 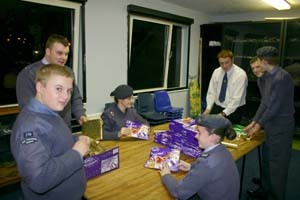 at the end of the night with the team being placed half way - no disgrace - they all had a great time. 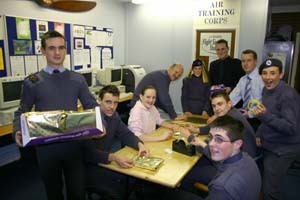 Squadron Newsletter for 2006 - full of achievement by the Cadets. 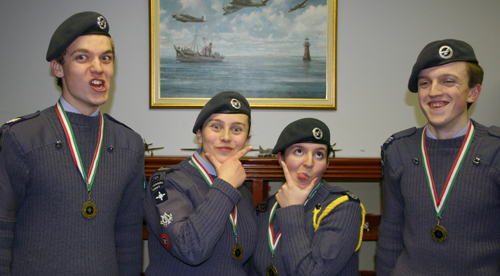 Sophia John (f) & Matthew Vanstone have been rewarded for outstanding loyalty and commitment to the Squadron with their promotion to the rank of Sergeant. 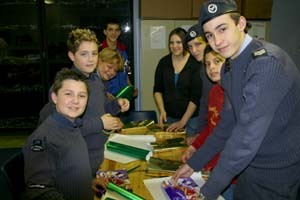 The Cadets of 215 are wrapping 4500 selection boxes for the children of Swansea, who will be visiting Santa's Grotto in the City Centre. 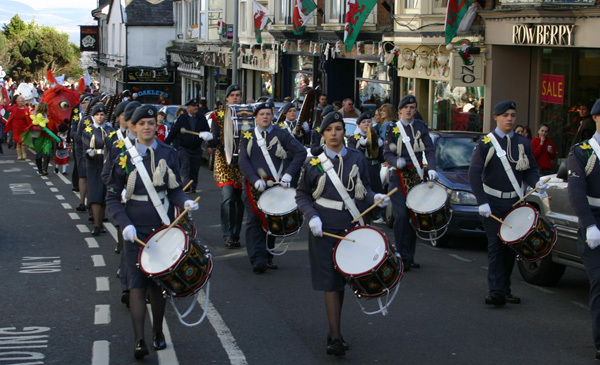 All the proceeds will be donated to a wide array of charitable causes and will once again reflect the Squadron's aim to help the less fortunate within the Community. 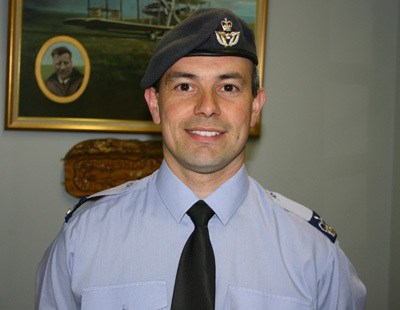 Christopher Roberts has achieved promotion to the rank of Flight Sergeant after a long and distinguished service with the Squadron. 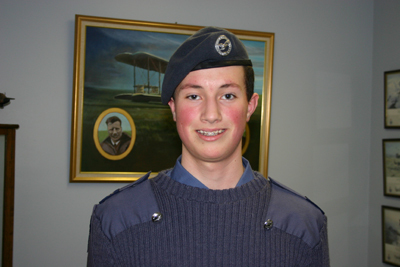 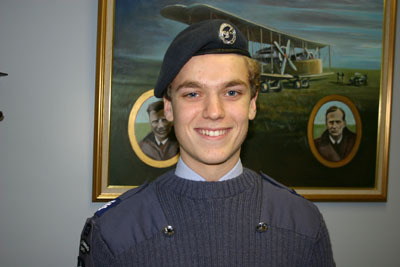 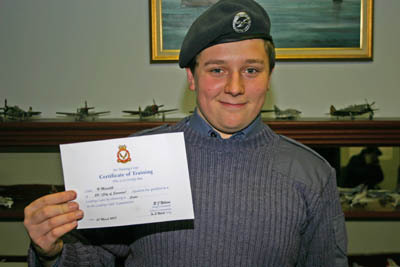 He has also achieved his PPL this year and is the Flight Cadet for Grey Flight. 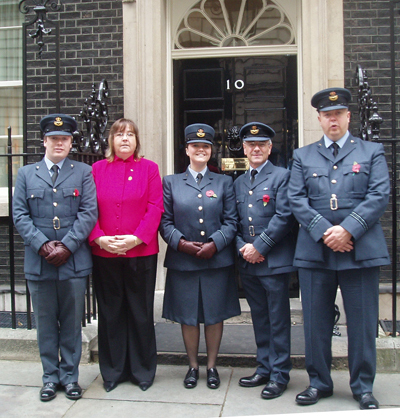 her old friends and to let us all know she is well and still thinking of the Squadron. 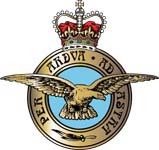 215 Squadron. 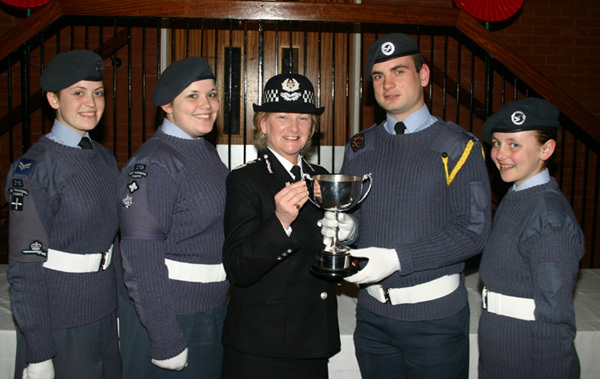 The 'High Achievers' who have contributed to many of the Squadrons successes such as representations at Corps Shooting, Corps Band, Nijmegan Marches and two Lees Trophy Wins in four years have sadly moved to Kent. 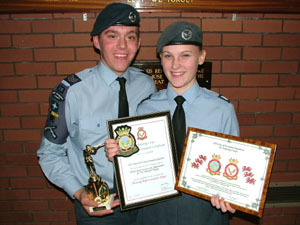 The Squadron will however not loose touch with two of its finest. 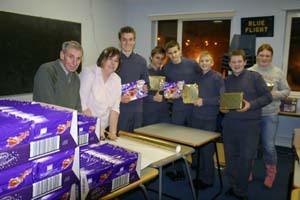 We all wish them well in their new home and new Squadron.